An Entertainer's Dream Home. Welcome to Righetti, San Luis Obispo's new housing development. If entertaining is your passion, you must tour our Paseo plan 2. This floorplan is open and seamlessly flows to the courtyard for indoor/outdoor entertaining. 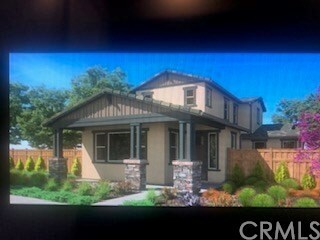 With a bedroom and bathroom downstairs, and a 3 car garage, Quartz counter tops, and stainless steel appliances, this new build is the perfect place to call home. Directions: Head South on Broad, Turn East on Tank Farm Road, and Turn left at the roundabout in to Righetti Ranch Road.